But, My Kids LOVE it!!! My MIL made them Cheeseburger Pie when she came to babysit last month, and now they are BOTH requesting it. That’s right…. So, I just had to share with you a dinner that I can add to the (very short) list I like to call: “Dinners Both Kids Will Eat”. These dinners, as we all know, are few and far between, so when I find one, I feel its my parental duty to share!!! Heat Oven 400° F. Make sure the oven rack is in the middle. Coat one 9-inch pie dish with Cooking Spray. Warm frying pan over medium heat. Warm 1 tablespoon Oil. Add diced onion. Sprinkle with salt and pepper and cook for 5 mins or so until golden but not brown. Raise Heat to Med-High and add ground beef, salt, pepper, and dry mustard. Stirring occasionally until the meat is browned. Add Worcestershire sauce and stir. Then add garlic and cook 1-2 mins until fragrant, but not burned!!! Take off heat and Drain Off Fat. Spread cooked meat mixture evenly into the pie dish. In food processor, pulse together flour, baking powder, sugar and salt. Add the cold butter pats and pulse until mixture starts to look like breadcrumbs. Add milk and eggs and pulse until mixture is blended. Pour batter over meat mixture in the pie dish. Top with shredded cheese of choice (totaling about a cup). Bake until set and a gorgeous golden brown. About 25-35 mins or until a knife inserted into the middle comes out clean. Let cool for 5 minutes. Slice and served garnished with fresh chopped parsley or chives. If your kids won’t eat chopped Onion and Garlic, you can always try adding 1 tsp Onion Powder and 1 tsp Garlic Powder. Or try adding Sliced Scallions or Green Onion. Experiment with your favorite 🧀Cheese on top. Feta, Mozzarella, Parm, Goat,Blue, Fontina…the list goes on and on!!! 🌶🌶🌶Spice It Up a little with some Hot Sauce, Crushed Red Pepper or Cayenne. FB, IG, Twitter & Pinterest for more great ideas! What’s better on a cold, winter day than Spaghetti???? 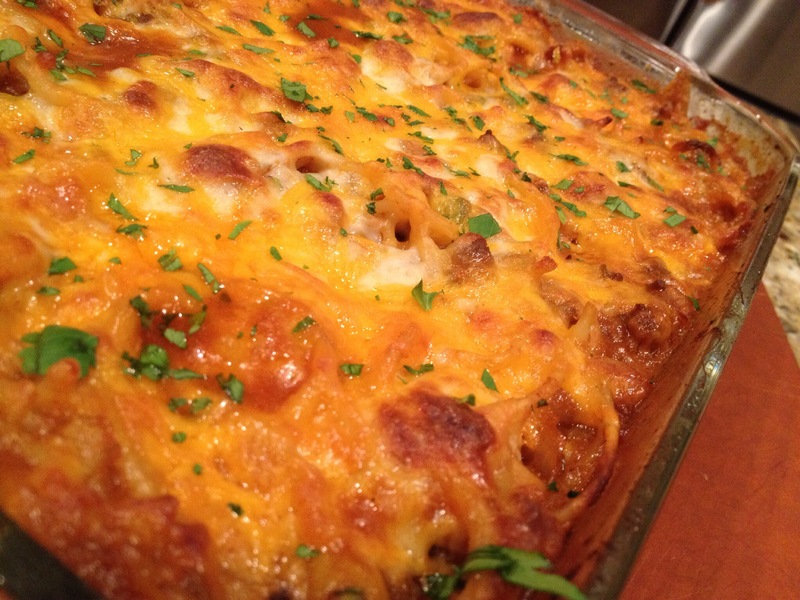 BAKED SPAGHETTI!!! 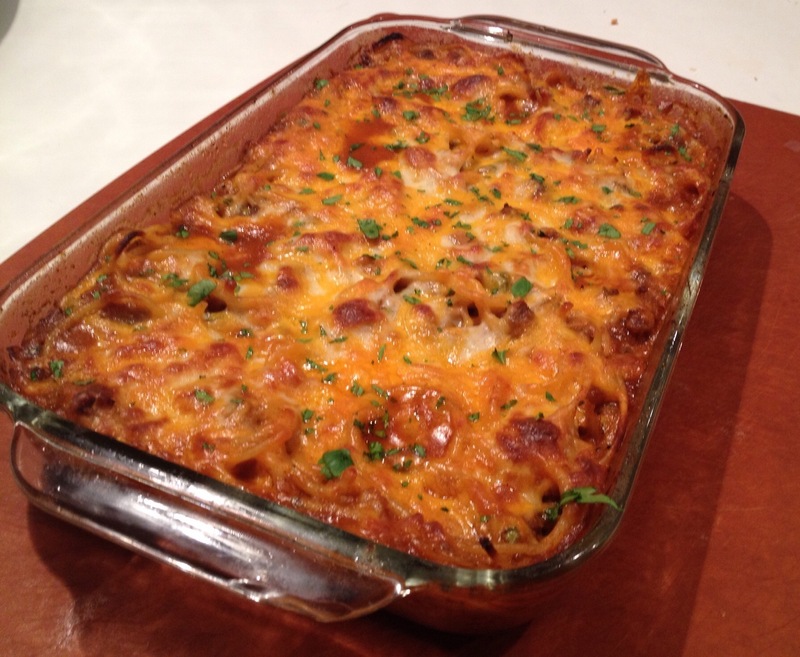 I have tried to recreate one of my favorite comfort foods from K&W. It’s a restaurant I used to go to in Roanoke, VA that is like a cafeteria. Since I have recently relocated to Charlotte, NC, I have been missing a lot of foods and have been attempting to recreate them at home. 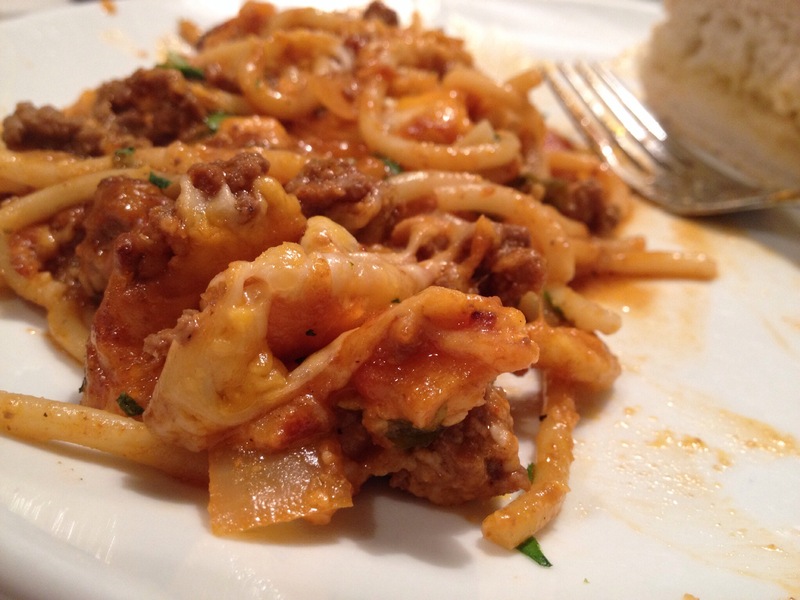 This is a super easy and simply spaghetti….and I think really close (if not better) than the K&W version! If you’re familiar with K&W, give it a try and see what you think! 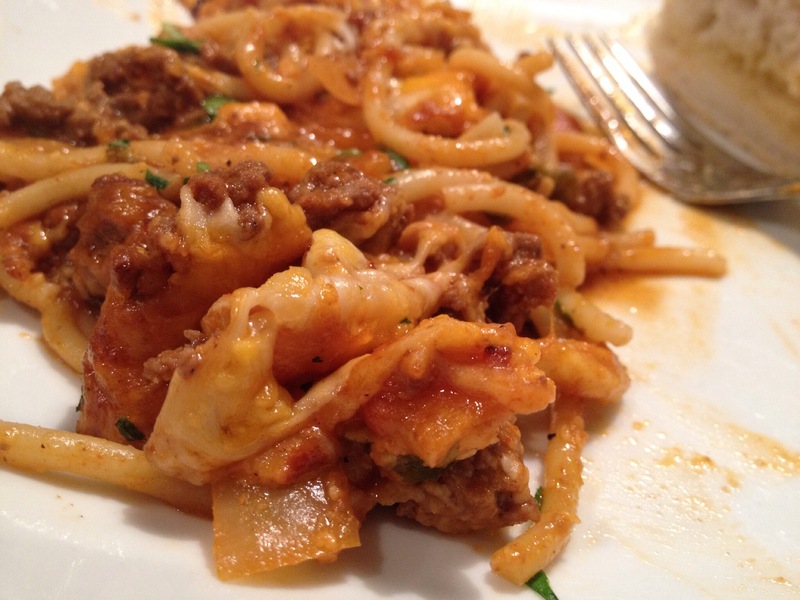 This spaghetti always had a unique flavor, almost a slight BBQ taste to it. Little did I know, it was WAY easier to make than my normal spaghetti recipe! 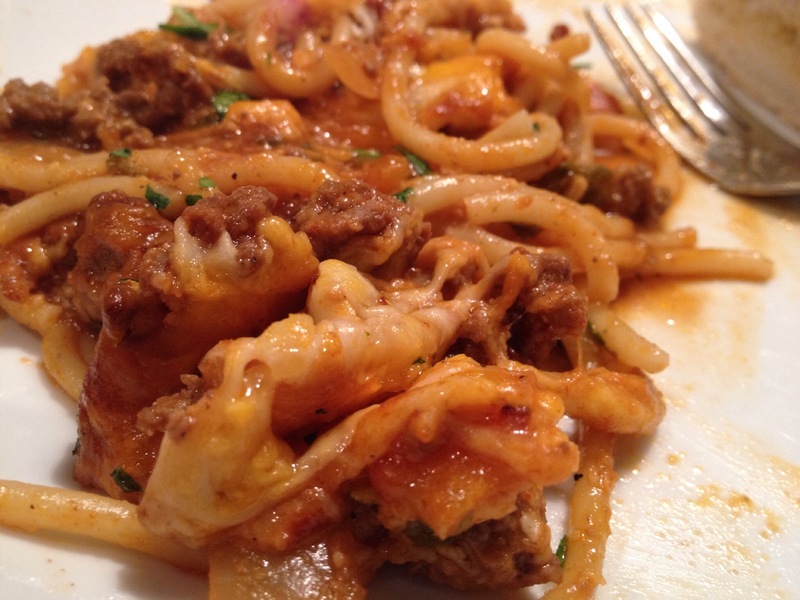 There’s nothing quite like a heaping plateful of warm spaghetti on a cold winter night! Keep it Cozy! 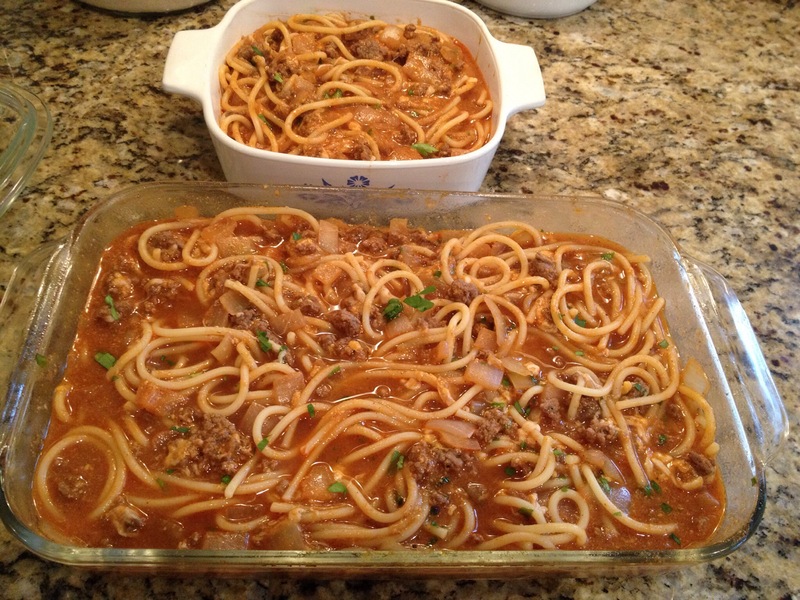 *Cook Spaghetti until AL DENTE; drain and set aside. *Brown Beef and Onions in large skillet. Add Garlic and sauté until fragrant, 2 mins. Drain. Add Chili Powder, Ground Mustard, Parsley, Salt, Pepper, ACV, Worcestershire, Ketchup, Mustard, and 1/2 cup Cheddar. Simmer 5 mins. Add Beef Stock and Cooked Spaghetti Noodles. Toss to combine. *Spoon into baking dish sprayed with nonstick spray. 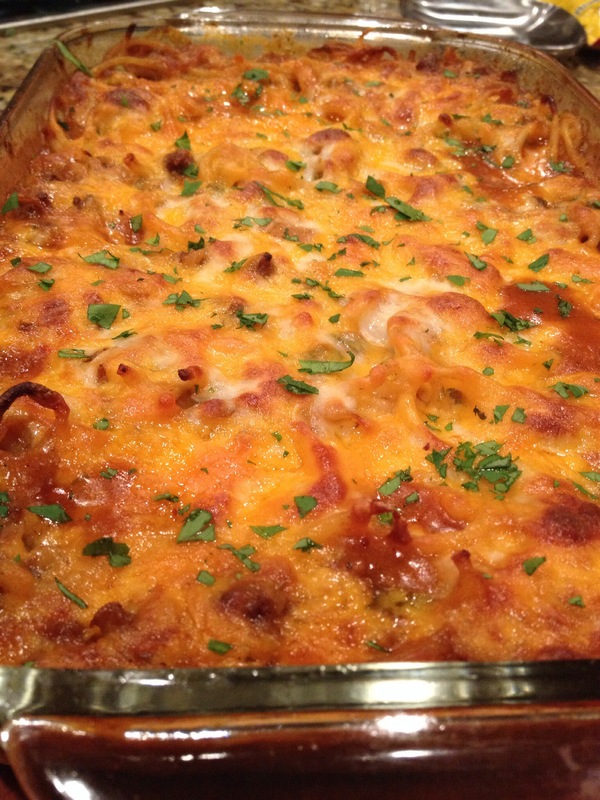 Top with remaining 1/2 cup Cheddar and Mozzarella. TIP: Divide into 2 portions and freeze some for later! *and, as always, try to use Organic, Local, Non-GMO ingredients whenever possible!